Why fly when you can, um, sit on someone else? A photographer spotted a smart red-winged blackbird hitching a ride on a much bigger bird, a red-tailed hawk, at the DeSoto and Boyer Chute National Wildlife Refuge in Nebraska and Iowa. "We see territorial blackbirds (among others) dive-bombing raptors, but this is definitely something you don't see every day," wrote the U.S. Department of the Interior, which posted the photo to its Instagram account. U.S. Department of the on Instagram: "Check out this rare sight: A red-winged blackbird hitching a ride on a red-tailed hawk that Mike White spotted while visiting DeSoto and..."
It's hard to know what the blackbird is really up to, but it's possible that he's trying to chase the hawk, a possible predator, away from his nest. This actually isn't the first time a red-winged blackbird has been spotted on the back of a bigger bird. 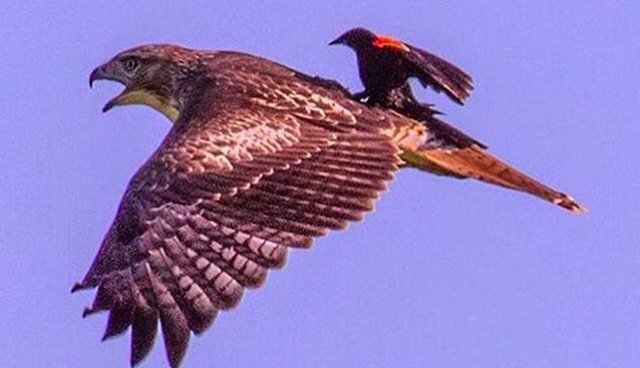 No matter the motivation behind it, this dramatic photo is pretty awesome - imagine what it's like to be a bird, flying through the air on ANOTHER BIRD - but this is by no means the only instance of an animal hitching a ride on another animal. 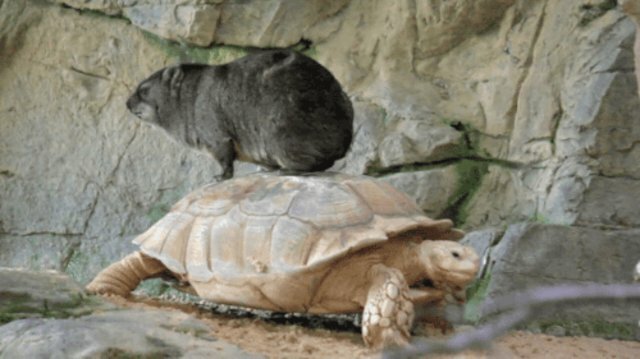 Here's a hyrax riding a tortoise. 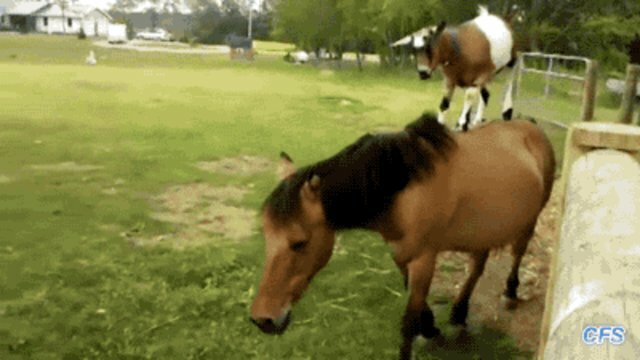 And here's a goat balancing on a horse. 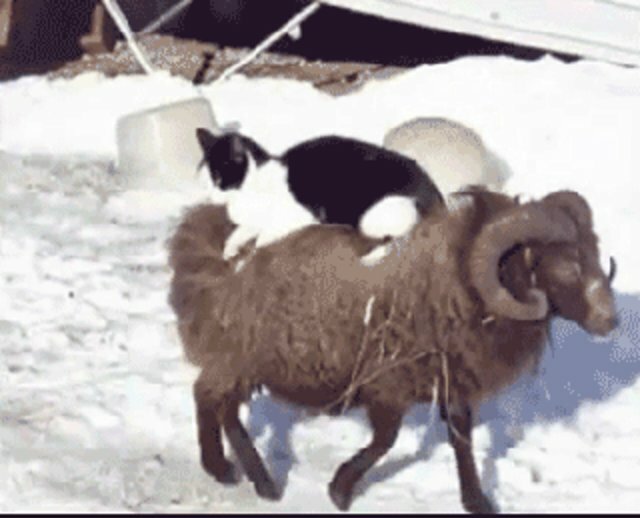 Aaand here's a cat relaxing on a sheep. So fly on, blackbird. You're in good company!